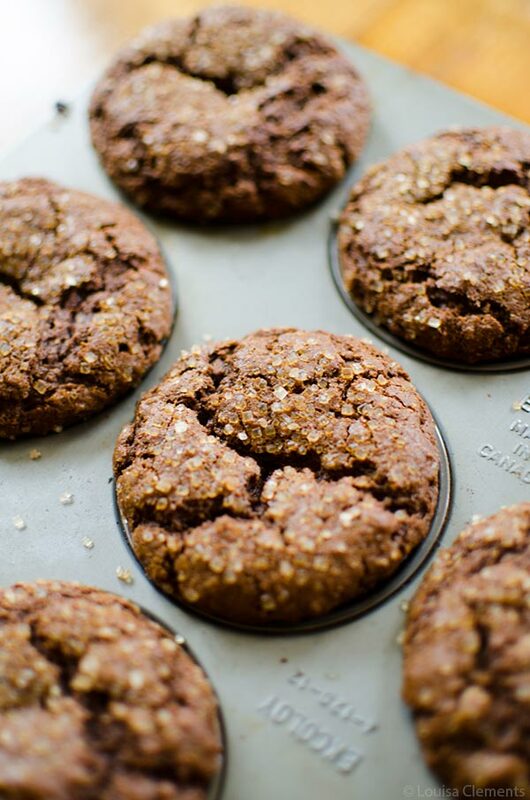 How about some whole wheat gingerbread muffins to kickoff the holiday season? Sounds pretty good, right? Because holiday baking doesn’t always have to be indulgent – but, by all means, bring on the holiday peppermint cookies for dessert and I’ll have my gingerbread muffins for breakfast. Fair compromise? I think so. Every meal should have a hint of the holiday season in it around this time of year. If you’re looking for your next holiday baking project for the weekend, I think you should give these muffins a try. They are such a simple recipe that uses a mixture of whole wheat flour and all purpose flour along with aromatic spices like ginger, cinnamon and cloves. There’s some brown sugar in here for a touch of sweetness and of course, molasses. You can’t make gingerbread without the deeply flavourful and slightly tangy molasses. The liquid for these gingerbread muffins comes from an egg and buttermilk, which is the perfect component for these muffins; I was inspired by Bon Appetit’s take on Gingerbread Muffins from Standard Baking Co. in Portland, Maine, where they use buttermilk in the batter and wanted to try my hand at a whole wheat version suited to my needs. I opted to crust these muffins in coarse sugar (it gives a little holiday sparkle), but if you can’t find coarse sugar or would prefer not to use the extra sugar, I’ve also made them without and they are still delicious. The tops end up beautifully cracked – almost like a muffin you’d get in a bakery. 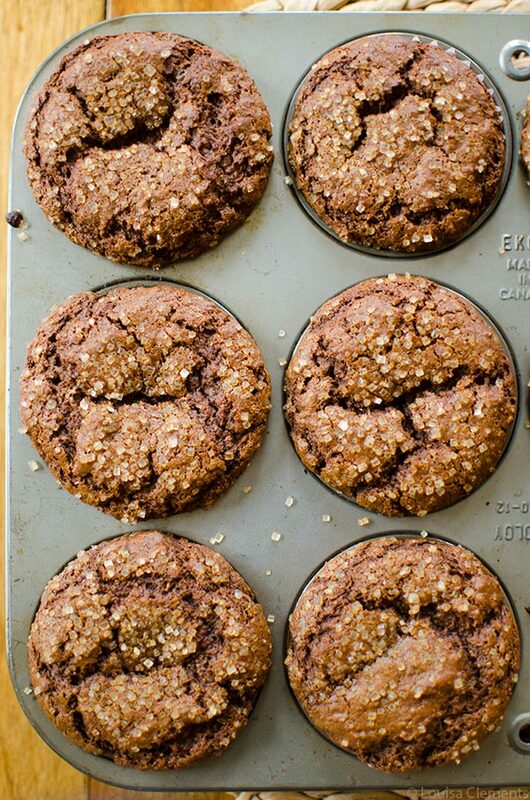 These whole wheat gingerbread muffins look 100% bakery worthy, don’t you think? I actually brought these tasty muffins to a friend’s house last week and the group of us devoured them (even the dog may or may not have snuck in a little taste while no one was watching…woops, these are not recommended as dog treats, ha!). I used to bring treats to my friends houses pretty often (basically whenever I’d bake something; better to share than have a million cookies or sweets at my house) but it’s been a while. Recently I’ve been making lots of holiday pies and fall-inspired cheesecakes which I’ve dropped off at a couple of different friends houses, but it’s much easier to bring a container of muffins than an entire cheesecake, which you then have to cut up and find plates/forks/napkins etc. Much more of an ordeal, if you ask me. These healthy holiday inspired muffins are definitely the way to go. Preheat oven to 375. Line a standard muffin tin with liners. In a large bowl, whisk flours with brown sugar, ginger, baking soda, cinnamon, salt and cloves. In a separate large bowl, whisk buttermilk with molasses, oil and egg. Mix dry ingredients into wet ingredients until incorporated, being careful not to over mix the batter. Scoop into 10 lined muffin cups and sprinkle evenly with sugar (if using). These whole wheat gingerbread muffins are the perfect not-too-sweet muffin or snack to enjoy this holiday season, let me know if you give this recipe a try. Hi Cathy,Yes, there should be an egg in them my mistake! Sorry about that, have added it to the recipe now. Hi, I just want to confirm with you, does it say 2/2 cup all purpose flour? Would it be then 1 cup or...? Thanks! They look yummy, and will be making them soon! Hi Mila, it should be 2/3 cup of all purpose flour! Will try and make some changes to the font so it's easier to read. :) Hope you enjoy the muffins! Loved this easy recipe - so festive too. 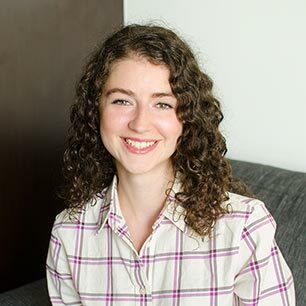 Your website is so full of creative recipes. Thanks Lou. Hi Danica, I'm so glad that you enjoyed them. Adding chai spice is a great idea, thanks for the tip! I made these today! They're beautiful, with a nice rounded, crackly top as pictured. Followed the recipe carefully. Tested for doneness at 17 min and they weren't quite done. Took them out at 19 min. They have good flavor, but are a little too dry. Any thoughts on how to add moistness?